Hello guys and gals! 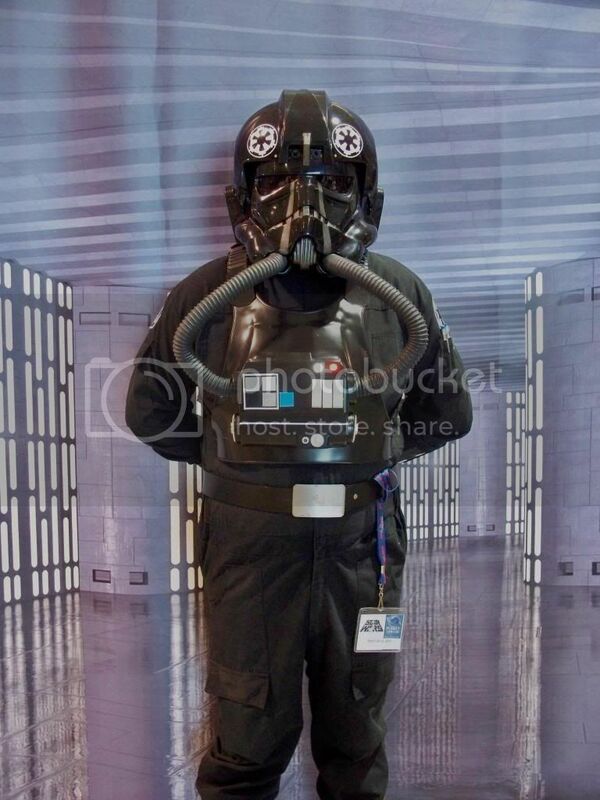 I have decided to sell my ANH tie fighter pilot costume. I have not trooped in some time, and frankly, my heart just isn't in it anymore. The armor is DL with a Targworks chest box (it has all the goodies in it, lights and fans). The gloves are the screen accurate type (sorry, I do not remember the maker), code cylinders are modified from harbor freight air blowers, the compad lights up (sorry, I don't remember the maker, it might have been Targ), the belt and buckle are from Vaderdave. flight suit was custom made from coveralls, and was made to fit someone 6'2" and about 250-275 lbs. I will not be including the boots, as they are very hard to find in a size 14, and are original East German Jackboots. I would like to keep the helmet as well, but might be able to be talked out of it. The armor has some minor scuffs from trooping, but nothing that could not be polished out. I am asking $900 plus shipping. Thank you for looking.